Or: 24 Things That Aren't Booze... And One That Is. 1. 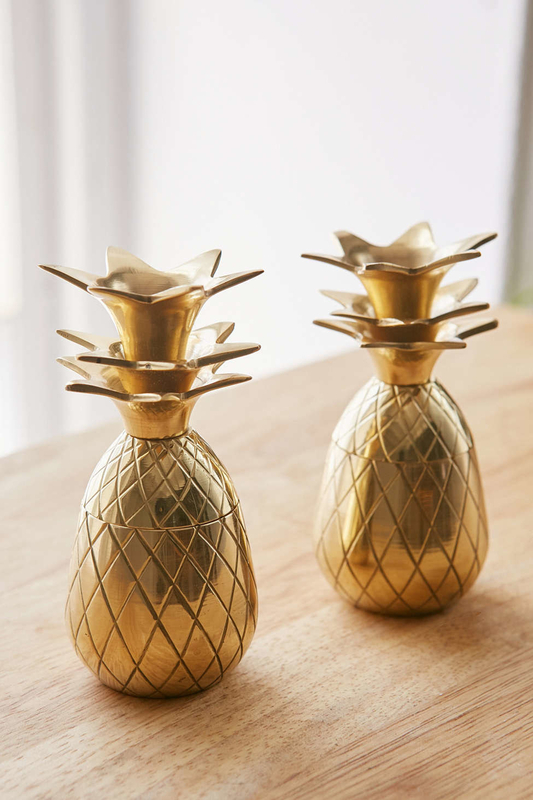 A chic set of plated-brass pineapple shot glasses that double as decor. Get set of two from Urban Outfitters for $35. 2. A hedgehog hand brush who'll sweep surfaces with his bristle mohawk. Get it on Amazon for $13.99. 3. A set of succulents for a breath of fresh air. Succulent boxes from Lula's Garden start at $35. 4. A gorgeous white marble rolling pin that adds class to a new kitchen. Includes a wooden resting base and features nylon ball-bearings for a smooth roll. Get it on Amazon for $16.92+. Also available in green and black. 5. A mug that screams "them," not "given out for free at that fundraiser in 2009." Get it from Urban Outfitters for $10 (available in a variety of styles). 6. A trio of dad-joke tea towels. Get it from A2D Creations on Etsy for $30. 7. 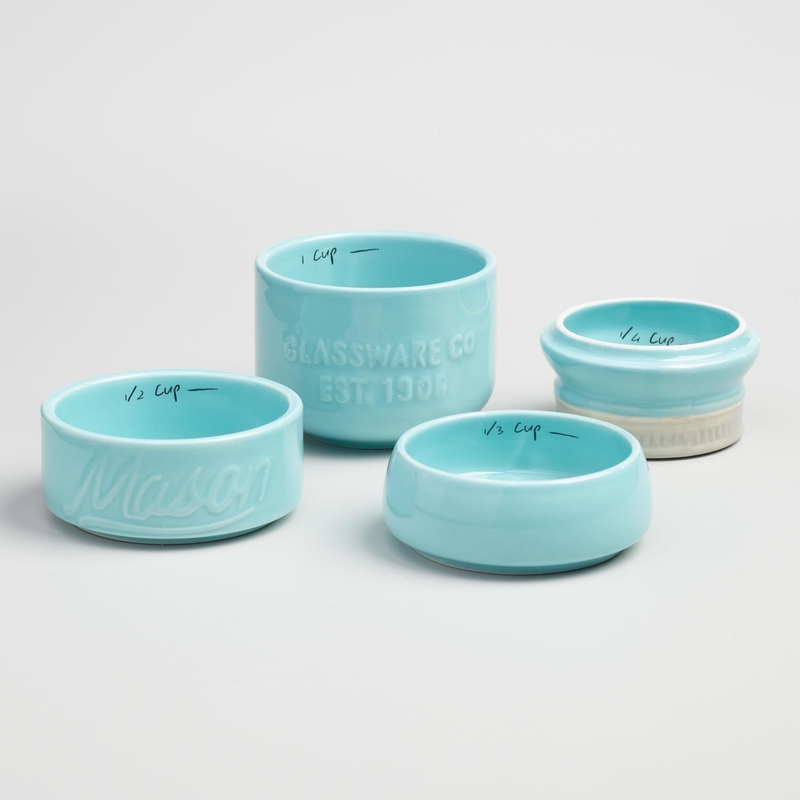 A set of stoneware lidded storage bowls to replace their mismatched Tupperware. Get a set of five from Amazon for $39.99. 8. A candle that'll warm their stressed-out heart. Get it from Meraki Crafts on Etsy for $9. 9. A coffee table book for giving a room some dimension. Get it on Amazon for $18.81. 10. His & hers pillowcases for the newlyweds' new abode. Get them on Amazon for $29.99. Available in queen and king. 11. A miniature waffle maker for the most important meal of the day, which is whatever meal includes the waffles. Get it at Bed Bath and & Beyond for $9.99. Available in three colors. 12. A vintage-y steel first-aid box for storing the essentials in style. Can be carried or wall-mounted. Get it on Amazon for $24. Available in three colors (first-aid supplies not included). 13. A set of just-add-tomato-juice Bloody Mary mixes for throwing brunch at their place. Get the pack of four on Amazon for $32.25. 14. A safety apparatus that's not an eyesore. Fire extinguishers at Safe-T start at $99. 15. 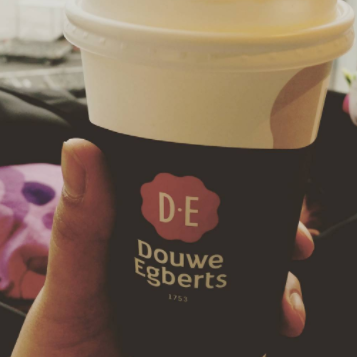 Some really, really good coffee. 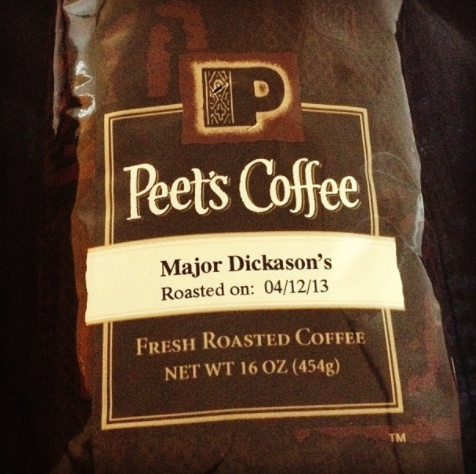 Try Peet's Major Dickason Blend, Douwe Egberts Aroma Rood, and Caza Trail K-cups, all available on Amazon. 16. A set of acrylic frame magnets so you can cover their fridge in Polaroids of your face, because don't let them think for a second that moving means they can forget you. Compatible with Fuji Instax Mini 8/8+/70/7s/90/25/26/50s, Pringo P231, Instax SP-1/SP-2, Polaroid PIC-300/Z2300, Polaroid ZIP Mobile Printer, LG PD233/239. Get the set of five double-sided frames on Amazon for $12.99. 17. 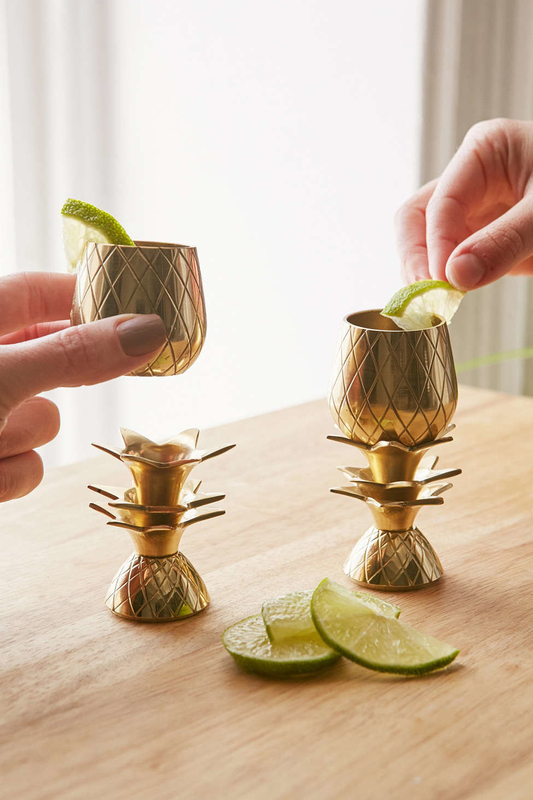 A set of classic hammered-copper mugs for Moscow mules. Get the set of four on Amazon for $23.99. Also available in a set of eight. 18. An herb gardening kit that'll make their new digs come alive in springtime. Get it from Amazon for $21.94. 19. Concrete pillars that can house plants or tea candles. Get the set of three on Amazon for $29.98. 20. A "congratulations" cake to celebrate the big move and provide food for every meal until they finally fill the place with groceries. Cakes from Bake Me A Wish start at $29.99. 21. 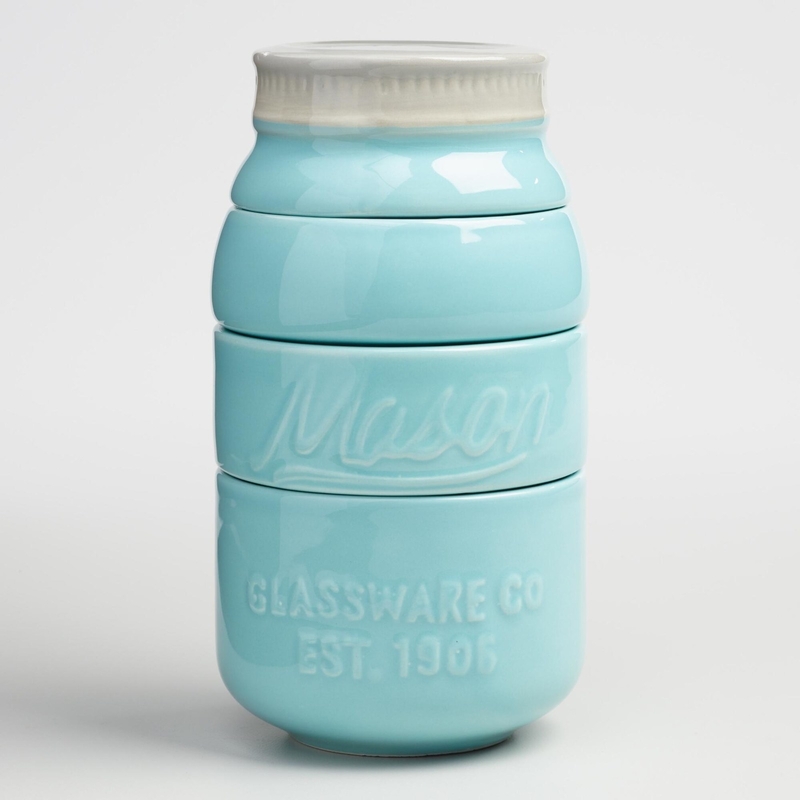 Stackable mason jar measuring cups for a little Southern charm. Get this at World Market for $12.99. Also available in red and pink. 22. A cocktail subscription box that gives them all the tools of an expert entertainer. Subscriptions from Shaker & Spoon start at $50/month. 23. 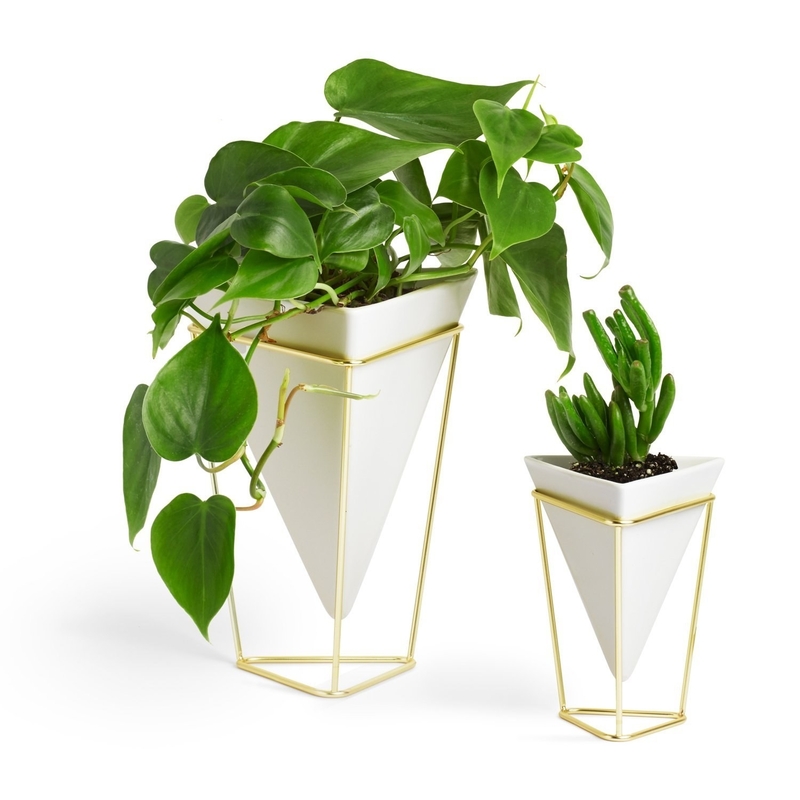 Geometric ceramic and wire vessels that'll update their desk or vanity. 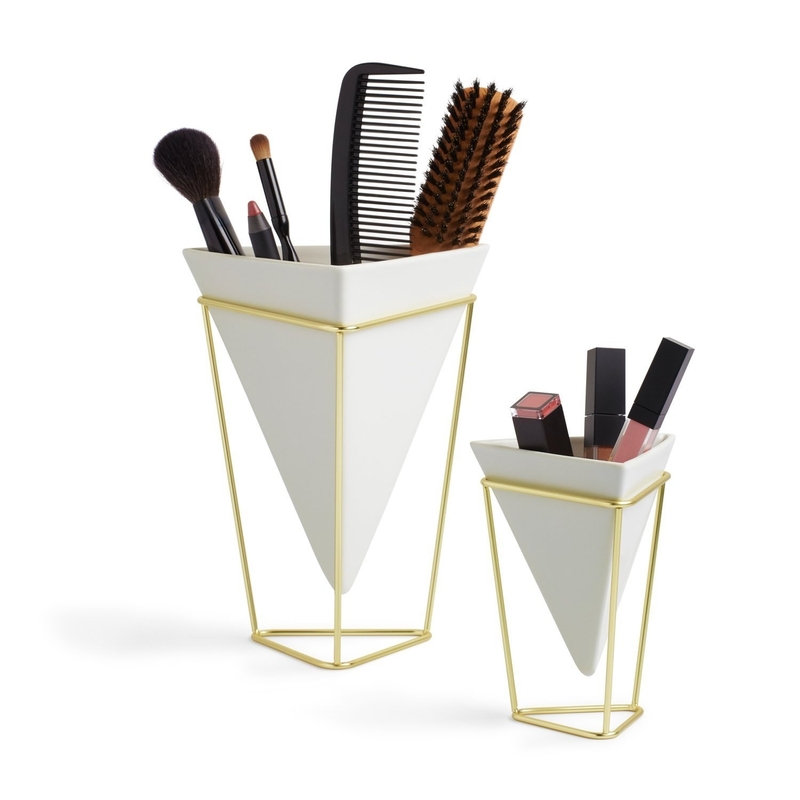 Get the set of two on Amazon for $38. Also available as a wall-mounted option. 24. A board game that's not a disheveled cardboard mess. Backgammon set features a black fabric carrying bag for dice and game pieces. Board has magnetic closure and painted argyle exterior. Get it from the MoMA Store for $89. 25. And if all else fails...bubbly. Shop champagne and sparkling wine on Drizly here.